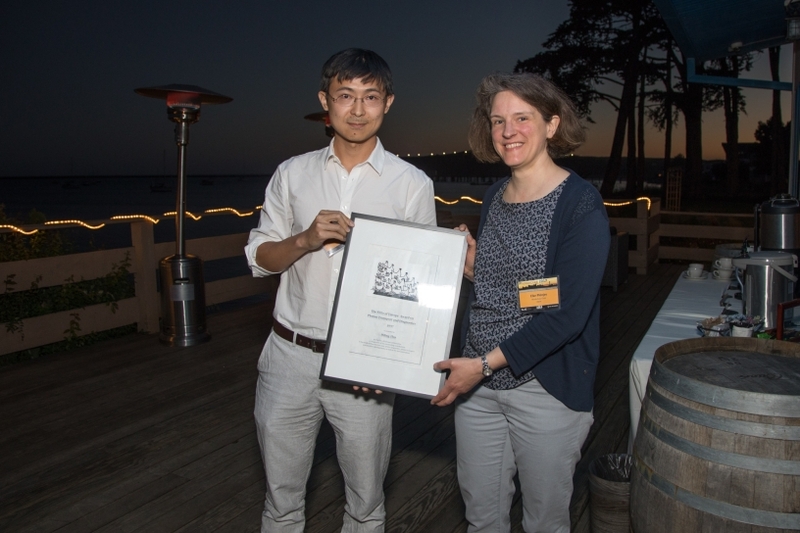 The LCLS physicist Diling Zhu was awarded the “FELs of Europe Award on Photon Transport and Diagnostics” 2017. Diling Zhu, a staff scientist in the Hard X-ray Department at the Linac Coherent Light Source, SLAC National Accelerator Laboratory, is the program lead on R&D at LCLS. For the first time this award was presented in connection with the international PhotonDiag 2017 workshop, which took place from May 1-3, 2017. The workshop, which is the third in a series, was jointly organised by the Fels of Europe Collaboration, and SLAC National Accelerator Laboratory in Menlo Park, California. The award is given to researchers on the occasion of the PhotonDiag workshop and comprises of a certificate, a monetary sum of 1000 Euro, and the opportunity to present the work at the conference. With this prize, the FELs of Europe Collaboration recognises outstanding contributions in the fields of free electron laser photon diagnostics, photon transport and beamline developments, as well as FEL instrumentation. This year´s award acknowledges Diling Zhu's broad excellence in developing new hard x-ray FEL tools such as techniques in thin crystal multiplexing, a crystal-based split-and-delay unit, a timing tool, and a thin-crystal single shot spectrometer for LCLS. The sum of his work has greatly increased diagnostics capabilities as well as developed improved beam transport capabilities, pushing the frontiers of FEL science since the start of LCLS operations.